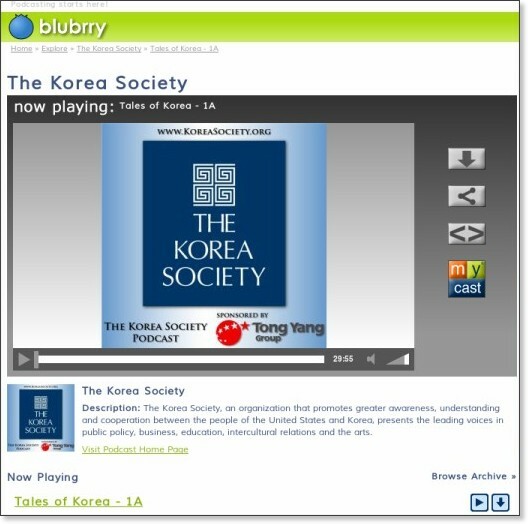 Follow the link (image) below to download the seven Korean tales posted by the Korea Society. Mainly English Stroytelling with some Korean words and BG music, but still worthwhie for the Korean language teachers. Stage 2 'Podcasts - Tales of Korea' Unit of Work (English), which is based on this podcast can be downloaded: CLIKC HERE for downloading the unit of work. Please follow the links if you need a sample MOU for a sister-school agreement, a guidelines for schools (Overseas student and group visits), and some other documents. The whole relevant documents are found in the department intranet, so you need your department id and password to see the documents. You might also want to visit DEC International to get some other information regarding 'Study Tours'. "We are currently working on a project that has been in our hearts for a long time at Temora High School. We always wanted to build a Korean garden as a reminder to present and past students of the impact that Korean language and culture has had on our school since 1995. In the early years students at Year 9 and 10 carried their studies through to Year 12 over three successive years. Student have travelled to Korea and teachers have also travelled there to study many times. Since that time every Year7 student to pass through the school has studied Korean. As a reminder of these experiences and as a mark of respect to all our Korean teachers and friends over the years, we plan to extend an existing garden to give a Korean element to what is really a European garden." --- an email extract from a Korean language teacher at Temora HS. They are still working on the Korean Garden project. Please contact Temora HS if you'd like to make any contribution/donation to their project. 'Miss Granny', which is on theater now in Korea, is coming soon in Sydney, in February 13, 2014. Sydney Koreatown Festival has been successfully completed. review writing competition for schools in Australia, hosted by the Korean Cultural Office, Australia. 12, who would like to discover the joys of reading Korean stories to improve their Korean language and cultural skills. The entrants will be divided into one of the following four categories. Category I: Primary School students who learn Korean as a community language. Category II: High School students who learn Korean as a community language. Category IV: High School students, the student’s or their parent’s first language should not be Korean. Each category is given different requirements for submitting the book review. Entries can be coordinated as a group and submitted by the Korean language teacher. The entries are judged by a panel consisting of representatives from the Korean language teachers’ ommunities, academics, and the Korean Consulate, Sydney. The winners will be invited to the 2014 Korean Book Review Competition Award Ceremony at Korean Cultural Office in June 25, 2014. They will also have the opportunity to read their winning entry on the Korean Cultural Office podcast. Prizes: Gift vouchers and other special prizes will be awarded to each winner in each category by Korean Cultural Office, the Korean Consulate and the Korean Embassy. Grand Prizes, signed by the Minister of Culture, Sport and Tourism of the Republic of Korea and the Minister of NSW Department of Education and Communities, will be awarded for the first winner of each Division. Certificates will be awarded for the first, second, third places and encouragement prize for each category. All participants will receive a Certificate of Participation. Rules: Entries MUST be student’s original work. The book reviews must address a Korean fiction or non-fiction book that fits into the theme for each category. A Cover page form and a Permission to use students' work form must be submitting for each entry. For further details, contact Korean Cultural Office on (02) 8267 3400. Click the link below to download the full information of the Competition.